The bike-journey would be started with a small expedition around 25km, to warm up your muscles from Manali to Naggar/Solang. This also helps to test the man and the machine. Actual ride will start when we will head to Rohtang La. First leg would include crossing the woods, surrounded by the alluring Pir Panjal mountain range. After traversing through bridge over River Beas and the steep slopes heading towards Rohtang La, dome tents and scrumptious dinner awaits. After passing by several points, winning over quite a few obstacles, finally the road from Upshi will lead to Leh. After reaching Leh, apart from jumping of joy, one can choose to explore the twisting lanes of the area by foot. 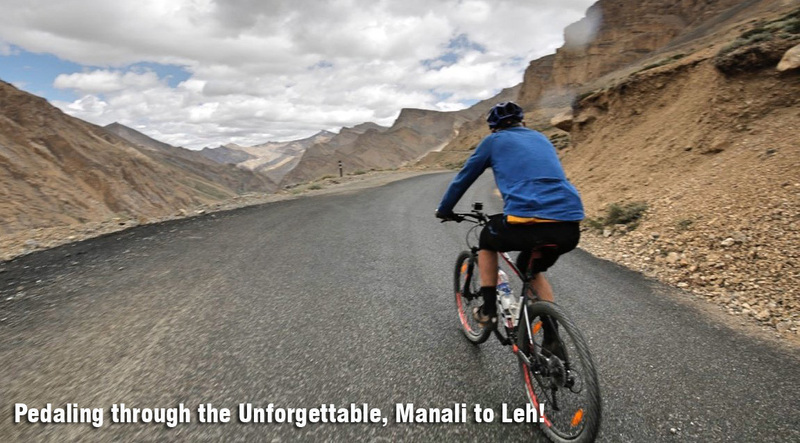 Local sightseeing, eating, resting and doing nothing at all, all this can be done here in Leh.